There is nothing worse than a bad night's sleep. Waking up feeling groggy, with heavy eyes, a dull headache, and a brain that doesn't seem to work. We have all experienced it at some point in our life - sleep deprivation is horrible. So what can you do when you have had a night of tossing and turning? What supplements can you take to help you get through the day after a night of caring for the new born baby? What hacks can you utilise when you have to wake early for that international flight? Below I have shared 10 tips and tricks to help you overcome sleep deprivation and function as well as you would if you had slept a full nights sleep. Note - The following tips are intended to help with acute sleep deprivation (i.e. a one off bad nights sleep because of baby, or an early flight) not chronic sleep deprivation. Chronic sleep deprivation is a serious issue that needs remedying, if you do suffer from ongoing sleep deprivation, please see my other articles on sleep here and here. But if you're not, and you wake up with less sleep than you would have liked, make sure you get outside and get some unfiltered (no glasses etc) sun light into your eye balls. The light from the sun triggers various hormones and neurotransmitters within the body, signalling that it is day time, food will be consumed and digested, brain and muscle activity should be heightened and later in the evening melatonin will be released (helping you catchup on last nights lost sleep). The main impact of morning sunlight exposure is the cortisol spike - Bright light in the morning (i.e. sunlight) also increases production of the hormone cortisol (1,2). Cortisol should be naturally higher in the morning, and cortisol plays such a vital role in how you feel and function. So if you wake up after a horrible nights sleep, make sure you get outside into the sun! Creatine helps with sleep deprivation - specifically it helps the brain execute complex tasks in sleep deprived individuals (3). If you are an athlete heading off to training in a sleep deprived state then creatine can also help you (though if you are an athlete, you should be taking creatine whether you have a good sleep or not - see why here 19 Reasons Why You Need To Supplement With Creatine). Why's that? A study was done on sleep deprived (3-5 hours of sleep) elite level rugby players. The findings? Creatine improved skill performance in the sleep deprived athletes (4). Even after 24 hours without sleep creatine has been show to have a positive effect on mood state and tasks that place a heavy stress on the prefrontal cortex (41). So add some creatine to your coffee next time you're sleep deprived! Skip the decaf, go for a big cup of regular coffee if you're waking up short of sleep. Though this tip is not a revolutionary one, it has to be included in this list as it's so effective! Consumers know it helps, that's why caffeine is the most popular stimulant to counter sleep-loss effects. Caffeine consumption in sleep deprived individuals decreases the likelihood of them making higher risk choices (5). Caffeine consumption counteracts degraded cognitive task performance due to sleep deprivation (6). Adaptogenic herbs are plants with properties that exert a normalizing influence on the body, neither over-stimulating nor inhibiting normal body function, but rather exerting a generalized tonifying effect. This is the definition of adaptogens given by naturopath Edward Wallace (8). In simple terms, the plants allow the body to better handle stress - giving us a boost when we need it, and calming things down when we are over stimulated. Herbs have been used for centuries for their medicinal, stimulative and relaxing properties, and modern science has proven that these plants do what many have been taught for generations. Most adaptogens work best when used on a regular basis, so you could look at using a herbal supplement on a daily basis as an 'insurance policy' for when you suffer a bad nights sleep. Alternatively, there are two adaptogens that have been shown to help with acute fatigue. Schisandra in particular is well documented to help with fatigue and decrease sleepiness and exhaustion (9), perfect for when you don't get a full nights rest. Another obvious tip right? What do you do when you're sleep deprived... get more sleep! Rather than suffering through your day, if you do get an opportunity to rest, a quick nap will do wonders to boost alertness and help with mental function. You don't need long, even a 30minute nap will help. This is no doubt the last thing you want to do when you wake up feeling tired and exhausted, but trust me, a few minutes of suffering will pay dividends on how you feel for the rest of the day. Exposing the body to cold water will create an short sharp stress response - you will get a surge of adrenaline and cortisol, enough to kickstart the body and snap you out of that foggy state you're in. Though this approach works well, it's not necessarily something you want to rely upon. Remember, after a bad nights sleep the body is already under a lot of stress. Too much stress on the body can cause a lot of health problems (I explore this topic in great detail in THIS article), and using a stressful event (jumping into ice cold water) is more of a bandaid/short term solution. But, it does help, and thus should be viewed as another tool in your sleep deprivation tool belt. We have already looked at the importance of sunlight in the morning to help wake you up, but here is another way light can help with sleep deprivation. Bright light shined into the ear canals has been shown to help with fatigue, forgetfulness, inertia and sleepiness (10). All of which are typical lack of sleep symptoms. Another study found that bright light that was delivered via ear canal improved reaction time in athletes. Again, reaction time is diminished in the sleep deprived, so more reason to be shining bright light into your ears on mornings you are lacking sleep. If you're wondering how to go about shining this light into your ears you will be pleased to know that there is a device designed to help you with this. It's called the Human Charger - a small pocket sized device that shines bright white light into your ear canals. This tip is slightly controversial, but it is effective so I wanted to include it here. 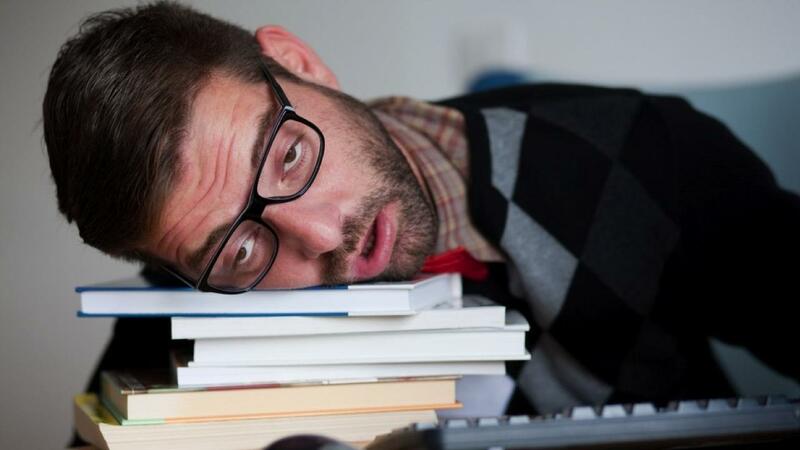 Modafinil is a prescription drug used to treat sleepiness - it's generally used by night shift workers, and those who suffer from sleeping disorders. Referred to as 'the Limitless pill', modafinil is able to promote an awake and alert mind without any agiation, or other typical side effects that stimulants create. Because of this it is often used a 'smart-drug' - medication used to enhance cognitive function. Users include soldiers, gamers, students and biohackers. Personally I have never used it but there is solid evidence showing modafinils' effectiveness to overcome sleep deprivation. One study found that modafinil in sleep deprived rats decreased sleep deprived related inflammation in the brain and lowered anxiety levels (11). Another study looked at the effect modafinil had on sleep-deprived emergency physicians. The double-blind randomized crossover concluded that Modafinil increased cognitive function and improved the performance of the study participants. The only downside was that the test subjects had difficulty falling asleep when opportunities for sleep arose. Modafinil does have a long half time, and users recommend only taking Modafinil first thing in the morning to minimise the impact it has on sleep later that night (12). I looked at the benefits of transcranial direct current stimulation (TDCS) for improving deep sleep in my article How To Increase Deep Sleep. But if lack of sleep is the problem, you can also use this technology to help you get through the day. TDCS is a form of brain stimulation that uses low current delivered to specific areas of the brain using electrodes. Studies have shown that this technology is effective at countering the effects of fatigue. A 2017 study found that TDCS "provided 6 h of improved attentional accuracy and reaction times compared to the control group." TDCS also had an improved effect on mood. Participants receiving tDCS reported feeling more vigor & less fatigue. Like cold showers, exercising when you're short on sleep is not an appealing thought. But just how cold showers provide a surge of cortisol and adrenaline, exercise can do the same. The key to exercising when sleep deprived is to keep the session short and sharp. This is not a training session to break a personal best in the squat, nor is it meant to be a 60minute long spin cycle class. If you need an idea for a short, sharp workout, try a Tabata interval set. Or a Body By Science 15minute resistance training session. Alternatively, if you truely don't have the energy (or time) to get in a quick workout, then simply take the stairs when you get to work. A 2017 study found that stair walking was more energizing than low dose caffeine in sleep deprived young women (14). The takeaway here is simple - if you're absolutely exhausted from lack of sleep, but still have a big day ahead of you, get up and move about! Now Go Out And Smash Your Day! Hopefully these tips can help you get out of that daze and and into your day. Remember, sleep is so important for health and wellness, and these tips are meant to be used on a 'one-off' basis. If sleep deprivation is an ongoing issue for you, then coffees and smart drugs should not be used as a regular crutch. Instead, look at cleaning up your sleeping habits and improving your sleep quality. if you need help with that, you can sign up for my free sleep tips HERE. 9. Rossijskij, D.M. New tonics and stimulants produced from local medicinal herbs. Clin. Med. 1952, 30, 66–69.